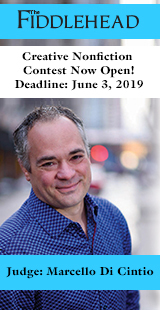 Malahat fiction board intern, Tyler Laing, asked Natalie Sumner of Mac's Fireweed Books in Whitehorse, Yukon - a proud carrier of The Malahat Review - a few questions. Online reviews rave about your store, and the Lonely Planet travel guide series reveals Mac’s Fireweed Books as one of the top to-dos in Whitehorse. Don’t be modest now, what makes your store such a desirable place to visit? Mac’s Fireweed is a desirable place to visit because it has something for everyone. We not only carry a large selection of books on the North or by Northern authors, we also have many other book categories, magazines, newspapers, topographic maps, souvenirs, CDs, tobacco, puzzles, games, crafts & painting sets, and much more. We also have a very friendly staff and if we don’t have what you’re looking for, we do our best to special order it in for you. We’re located in the middle of Main Street in Whitehorse and are open 365 days a year. At the same time, you appeal to locals as well. You’ve been in business for more than 50 years and hold surprisingly late hours (10 p.m. during the summer, 9 p.m. the rest of the time, open 365 days a year). You boast an army of regulars and have been referred to as “an institution on Main Street.” How have you carved out such a prominent place in Whitehorse’s community, both arts-based and otherwise? The hours that we are open have definitely helped us become such a prominent place in the Whitehorse community. Also, we try to carry books written by our local authors, music CDs by our local musicians, and art cards from our local artists. It doesn’t matter if you’re a morning person or a night owl, you can come to Mac’s when it suits you. Whether you’re just stopping in to buy the daily newspapers, picking up cigarettes on the way home from work, or getting maps and river guides for your canoe trip, we do our best to accommodate everyone and like them to leave our store happy and satisfied with our customer service. Not only does Mac’s have an obvious history of its own, but that’s one of the areas the store specializes in: out-of-print books on northern and polar history, mining, exploration, the Klondike Gold Rush. Are these big sellers or does a frontier bookstore such as yours have an obligation to keep the past within reach? During the summer months, a large part of our clientele is tourists, and the Northern books and books on the Klondike Gold Rush are definitely big sellers to them. Any book that can bring the Gold Rush back to life in the eyes of its reader is a big hit up here. Even the locals like to support local authors and Northern photography books are always a good present for former Yukoners. Some say your magazine rack is the best north of 60 while others say it’s the best in the world. What makes it so impressive? Why such a focus on magazines? There is such a wide variety of personalities living in the Yukon and visiting the Yukon, and there are so many magazine options out there, we like to have something available for everyone. Our magazine rack is double sided and takes up ¾ of an aisle in our store. We carry over 1500 titles of magazines and again, if there is a title that we don’t carry that someone wants, we try to bring it in. 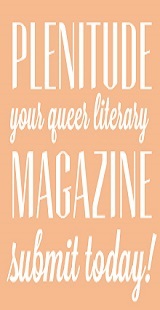 Commercial magazines aside, you’re also committed to literary magazines and journals. What are some of the titles you carry? 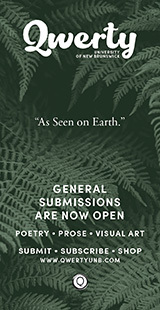 We carry Brick Magazine, Capilano Review, Catmaran Literary Review, LRC (Literary Review of Canada), Matrix, Queen’s Quarterly, Riddle Fence, Tin House, Vallum, Grain, Existere, Fiddlehead, Inroads, Lapham’s Quarterly, Freefall, The Dorchester Review, and of course, The Malahat Review as well as some others. We appreciate making it on to your shelves, and because there’s no way I could frame this without sounding like I’m hunting for compliments, I’ll just come out with it: why The Malahat Review? The Malahat Review has a nice combination of poetry, short stories, and book reviews – and has great covers too. It is nice to be able to pick up a magazine like The Malahat Review, and read short stories or poems from aspiring writers. One of our former employees was a poet and had submitted work to your magazine. Considering the current book-industry climate, particularly with regards to independent book stores, you’d be forgiven for bypassing literary magazines, and yet you continue to forge ahead, torch in hand. How come? 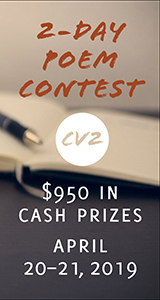 How important is Canadian literary content? 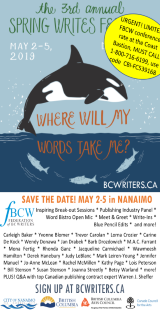 Being that there is a large author/artist community in Whitehorse, we will try to continue to carry the literary magazines. We carry as many of the Canadian magazines that we can and at least once a year, try to showcase the Canadian titles. If we’d listened to the naysayers, the digital revolution should have wiped out the traditional book by now and we should all be sitting around reading from little palm-sized screens. Maybe they got it wrong and the book is going to be fine, or maybe it’s destined for a more drawn-out demise. As a bookseller, where do you see the industry heading, and in turn, what does the future of the bookseller look like? Will there always be a place for stores like Mac’s? 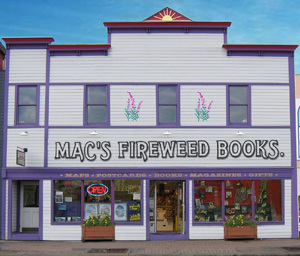 I would like to think that there will always be a place for stores like Mac’s Fireweed Books. To me reading isn’t just about what you see with your eyes – it’s the feel of a book in your hands, the sound of the pages being turned, it all helps with the ambiance and helps you to escape from reality for a little while and get lost in the story.